The Creative and Digital Trade Mission to Singapore on 20-23 September saw several small UK companies get their first taste of the ASEAN markets. Marcus Greenslade, Digital Content and Marketing Manager at the UK-ASEAN Business Council (UKABC), also joined for his first Trade Mission. On the morning of Wednesday 20 September, eleven bright-eyed delegates accompanied by representatives from Enterprise Nation, HSBC, and the UKABC, arrived at Heathrow Airport to begin their Singapore experience. 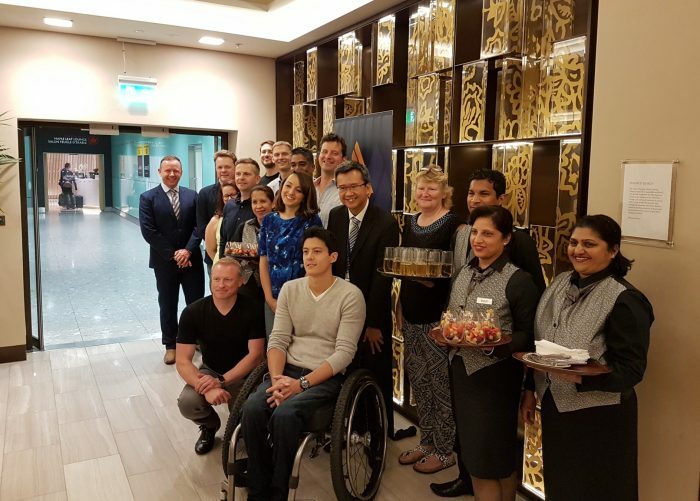 Kindly hosted in the Singapore Airlines lounge, their UK and Ireland General Manager Sheldon Hee stopped by to provide some parting words on what to expect in Singapore, including a warning about the humidity. I also took some time before the mission hit the ground to chat to Emma Greenfield, Head of Events and Promotions at Enterprise Nation, asking about their other Trade Missions to other parts of the world. Having personally been involved in organising and attending Missions to New York, Hong Kong, Paris and their next trip to Dubai, Emma was well placed to discuss the differences. It was certainly not for a lack of trying to fit everyone in. We had just 65 hours on the ground in Singapore, and squeezed an incredible amount out of that time, starting with landing at 7:30am local time on Thursday 21, still bright-eyed (mostly), with just a quick freshen-up at the hotel before diving into the first session of the Mission. The afternoon sessions served to reinforce this as we blasted through presentations from the UKABC, DIT in Singapore, KPMG, HSBC, and the British Chamber of Commerce Singapore. UKABC Executive Director Ross Hunter introduced what we can offer UK companies, educating on the markets before linking to our partner organisations in the region. 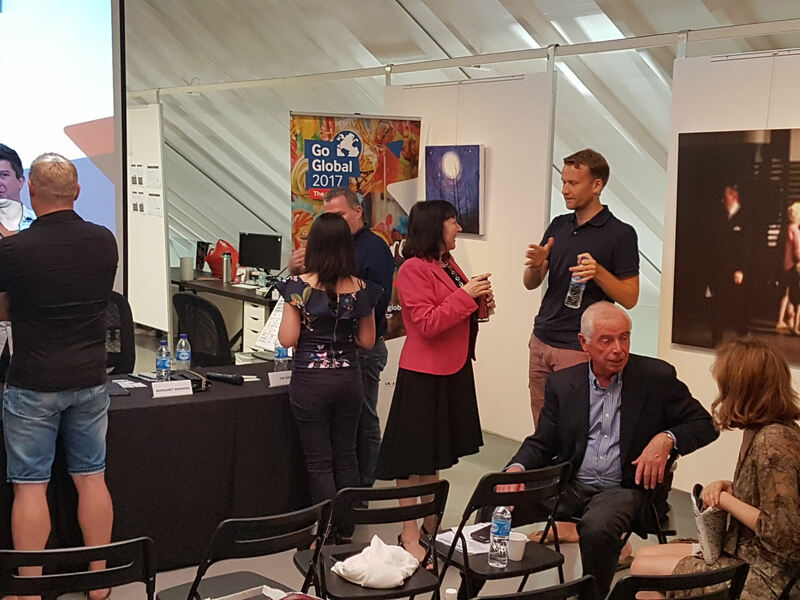 Zoe Fitzsimmons, Director of DIT Singapore, and Carole McCarthy from the British Chambers of Commerce Singapore, both spoke about their in-country support for new and established UK companies alike. For anyone who had not slept on the flight, we were now on over twenty-four hours awake, which makes the presentations all the more impressive for being insightful and engaging in spite of the group’s jetlag! Mr. Ho Kah Chuan from KPMG, in particular, had the unenviable task of talking through tax incentives. Singapore has one of the lowest corporate tax rates in the region at 17% and there is no capital gains tax to speak of; they might not be glamorous facts, but it is vital information for businesses looking at setting up here. After KPMG, we visited HSBC in Singapore. Rachel Speed, Regional Director of Small Business for South West & Wales, was accompanying the Mission and spoke about how HSBC could support small businesses in an exporting venture, and on her first impressions of Singapore. “One key thing in Singapore is the quality of services. They’re second to none.” One example was the provision of a mobile phone in the hotel rooms, allowing guests to stay connected during their time in the city without worrying about roaming charges. For the Friday morning sessions, we were joined by another Trade Mission led by the Department for International Trade (DIT) and supported by Innovate UK. 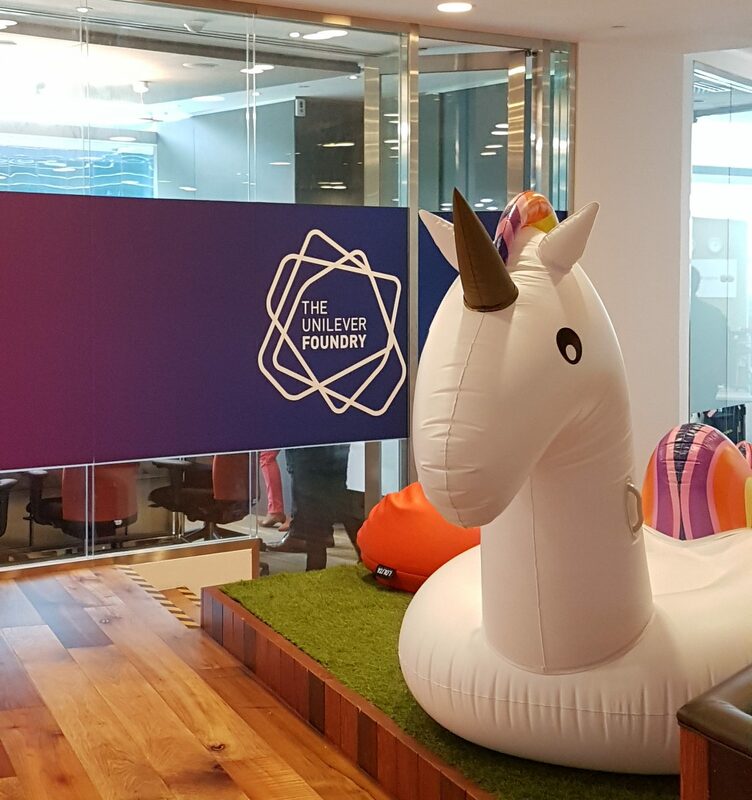 While the Enterprise Nation mission was geared towards start-ups, creative and media, the DIT programme was aimed at longer-established companies. Regardless, it was important for both groups to see some of the potential shared office space at Block 77, which is part of the JTC LaunchPad at the Singapore Science Park that now houses over 750 start-ups and 2,000 entrepreneurs, making it a fantastic community for new or outside start-ups to slot into. We also visited the shared office space in Unilever’s building, Level3. Different to LaunchPad, Unilever’s space also boasted easy access to potential investors that start-ups could tap into and, importantly, the best coffee I had all trip (and where Ross discovered he doesn’t like chai). We were then whisked straight into a presentation from the Singaporean Economic Development Board. This included a discussion of the government’s one-stop procurement portal, GeBiz, and Smart City development opportunities for UK companies. With no time to try the Singaporean cuisine for lunch, we split from the DIT mission and got stuck into our afternoon activity with Iris Worldwide, who gave an overview of their experience setting up in Singapore before sending the delegates out on a challenge, investigating how some of the biggest brands in Singapore were already taking advantage of the ‘Smart Nation’ initiative, and how they could better plug in to Singapore’s incredible connectivity and tech-savvy consumers. We were then hosted for a great networking reception by RHTLaw Taylor Wessing, who brought in some great clients to mix with the delegates. Unplanned, the ever-energetic Margaret Manning, Director of Adelphi Digital and UKABC Board Director, invited delegates to dinner with her fabulous team. The insights the Adelphi team were able to give to the delegates over an amazing Singaporean dinner were priceless, from the cost of recruitment, cunning retention strategies, and how to stay relevant in such a fast-paced marketplace. 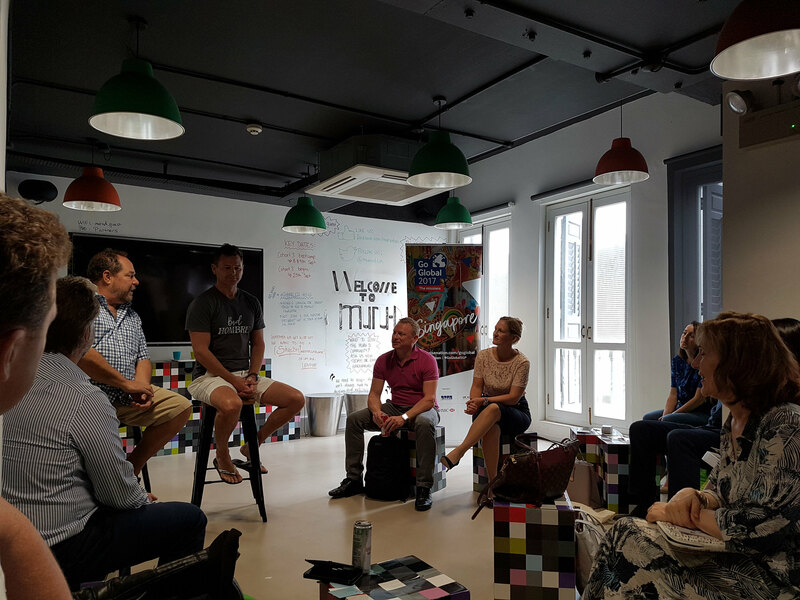 The delegates could finally rest a little on Saturday… afternoon, but our final session of the Mission took place on Saturday morning, meeting Brits who are currently running businesses in Singapore. 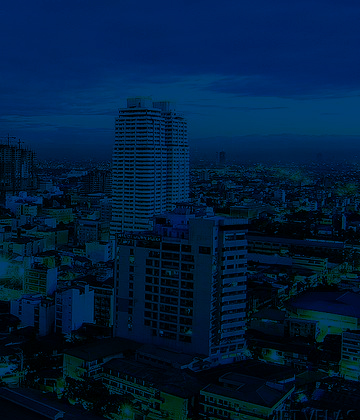 “Join the BritCham. But also give it time, make the connections. In the UK or even just in London, to network you might have to travel an hour. 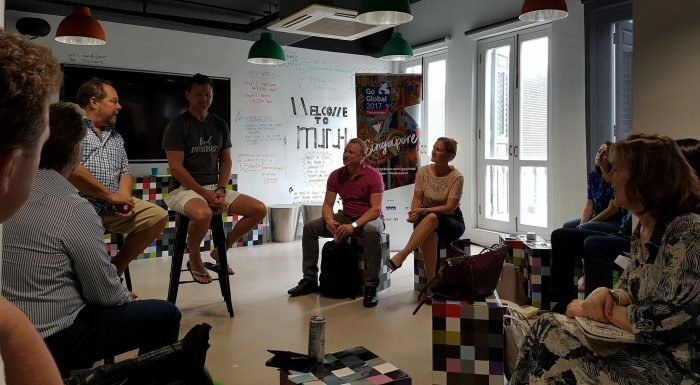 Singapore is roughly 250 miles square, so CEOs have a lot of time for a coffee or beer; there’s not the same time commitment or risk.” – Andrew Pickup, director of communications for Asia at Microsoft, board member of BritCham Singapore, and chairman of their ICT business group. “Southeast Asia is not a homogenous mass. Every market is unique; you need to take a local approach. Also, Asians can be wary of expats coming over for 1-2 years and leaving, so you have to invest the time and convince them you’re here to stay.” – Steve Melhuish, founder of propertyguru.com. “It feels like the beginning of something here, the beginning of Asia’s decade – now is definitely the time. I’d say it’s important to choose your office space wisely. Some co-working spaces are better than others.” – Nick Holmes, founder of clippings.me. “Join the Chamber! Breaking into the Singapore market gives you a lot of ‘street cred’ when looking at the wider market, such as Thailand or Malaysia. 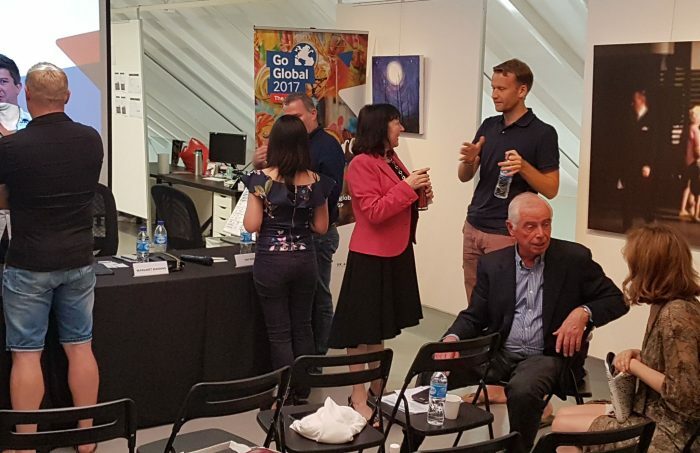 There’s a view that ‘if it’s good enough for Singapore, it’s good enough for us’.” – Margaret Manning, founder of Adelphi Digital. “Singapore is very influential in building out into the wider region, so know the value of that. The government here is massively supportive in terms of enabling you. If you do come, it probably comes with a warning that you won’t go back!” – Tim Webb, founder of Sequebb. A little over a week now since returning to the UK, it has been great to hear some of the early feedback and initial stories of delegates following up. “What an amazing trip! I am now slightly overwhelmed by the sheer amount of work I need to do to follow up with everyone we met,” said Julie Choo, founder of Stratability.